Why study Strength and Conditioning Science (with a Foundation Year)? 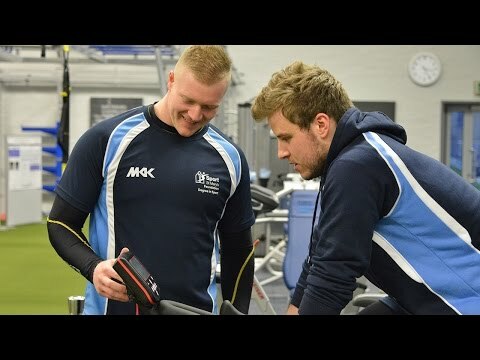 On successful completion of the Sport Science Foundation Year pathway you will progress on to the three-year undergraduate degree in Strength and Conditioning Science. Foundations of Life studies the hierarchy of life, starting with macromolecules, cell tissue, organ and organism structures and functions. It also considers the interactions of organisms as arranged in communities. The “Nature” component studies the principles of movement and energy, electricity and magnetism, and light. This component will also explore how these principles apply to our daily lives including human movement. The “Mathematics” component studies the fundamental concepts of mathematics and how they express the language in which Nature is written. This component also includes an introduction to statistics and its applications. This module will introduce students to the concept of chemical principles underlying the life in the animal, vegetable and mineral kingdoms. It will explore the atomic structure and properties of matter, the chemical reactions occurring in the human body and in Nature, the chemico-physical phenomena underpinning the constitution of the planet Earth and its atmosphere. Additional costs could be incurred depending on optional modules chosen and other projects undertaken. For further information about additional costs please contact mark.cousins@stmarys.ac.uk.